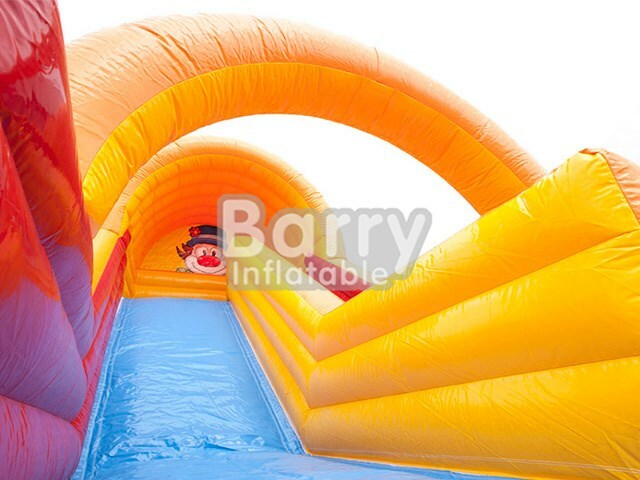 Products - Inflatable Dry Slide - 0.55 PVC Tarpaulin Inflatable Clown Slide China Guangzhou Factory BY-DS-069 - Guangzhou Barry Industrial Co., Ltd. 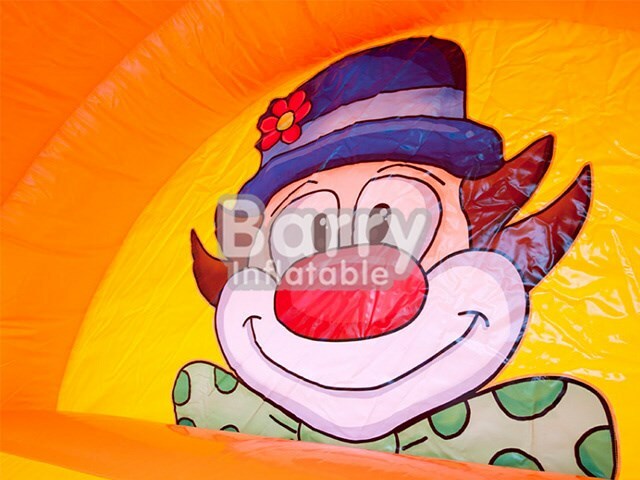 The inflatable slide Clown Slide features a replaceable sliding and deck pads. The slide is super easy to clean, because it has several air outlets and a removable sheet. Furthermore, this inflatable slide hase no less than 6 anchoring points. 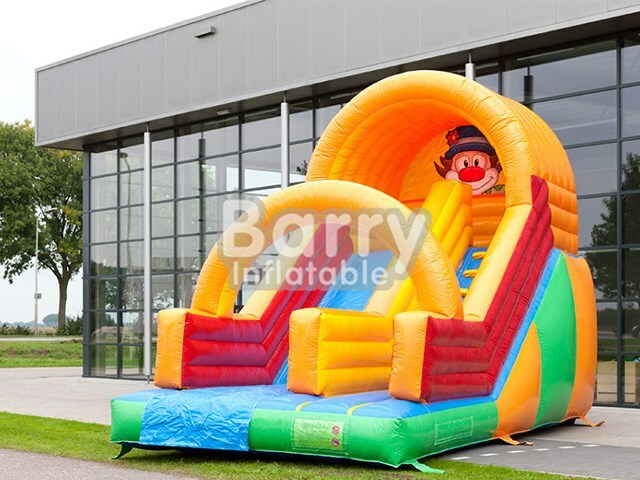 The inflatable Clown Slide is a fun and spectacular attraction for any event. The bright colors and fun prints on the back will appeal to children of any age. Our inflatable slides have been a huge hit in the commercial rental market. 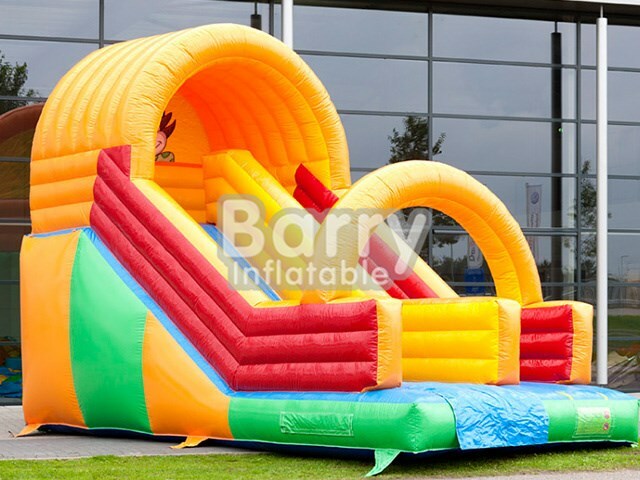 Due to the high quality of the material and the stitching, our inflatable slides will last for years. We have a large assortment of slides, which will be a blast at any event, especially because of their fantastic appearance. 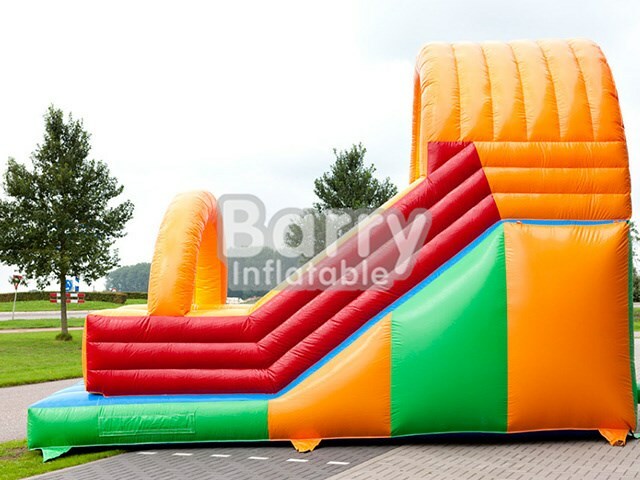 This inflatable slide is available in many themes, such as Clown, Jungle, Fire, Castle, Pirates and Ocean World.